When World War II thrusts scrawny evacuee Willie Beech into the care of a gruff old man, an unlikely bond flourishes between them. But as Willie enjoys his first ever taste of human kindness, suddenly his happiness comes under threat again… This heartwarming classic tells a moving and memorable tale of friendship against all the odds, set against a stunning wartime backdrop. Winner of the Guardian Children’s Fiction Award. Only just watched the film!!! wonder if the book is as good!!! 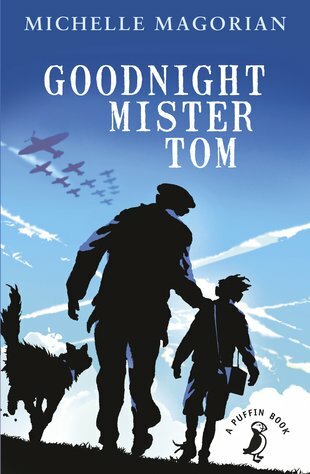 Reading Goodnight Mister Tom was very emotional also seeing the film drew me more closer to the feeling which the author must of put into the book I loved it and the description is magnificent really helpful for English. I really enjoyed this book when I read it, though it may not be my first to read again. I think this book is very emotional and you can very easily feel empathetic towards the young boy in the story who has been evacuated to the country. It seems he hasn’t had a very nice life so far with his mother and when he returns home, it doesn’t get any better. Overall i think Goodnight Mister Tom is a very heartwarming and emotional story that will leave you in tears.